My dad has attended the Hagley classic car show in DE every single year it has been held. 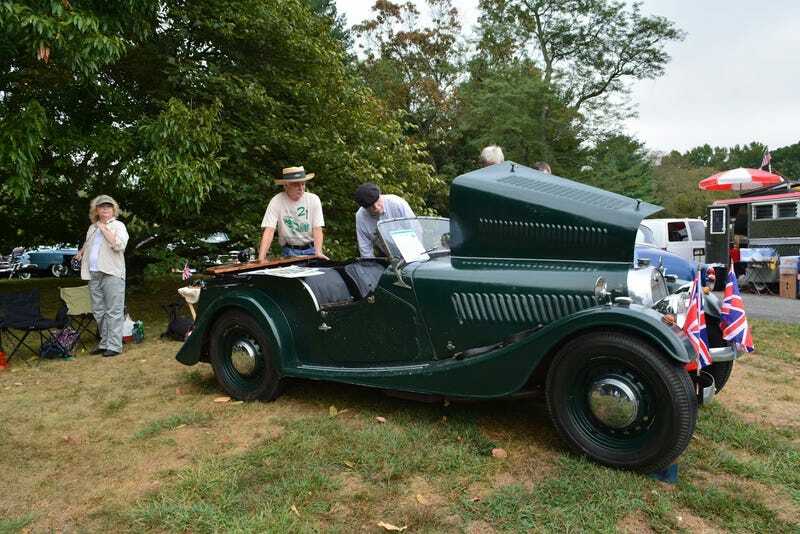 For 20 years, we faithfully bandaged up his 1953 Morgan +4 well enough for him to attend the show. Every year they have a theme (for example Fords in 2004 for Ford’s 100th anniversary), and in 2016 it was “unrestored originals.” Dad signed up to be on the main field because his Mog was all original, even down to the floor boards (which, yes, are made of wood). This was especially appropriate because he had been planning for 6 months to start getting the car restored right after the show finished (it would have been great to keep it original, but after 63 years, it needed one of everything and it was just easier to restore than preserve it. Good decision as the clutch went out on the way home from Hagley!). I used to attend the shows too, but after college I moved away for work. Since Dad was going to be on the main field for the first time ever, Mom and I put together a plan to secretly fly me home and surprise Pops for the show. It worked beautifully. The show was great, and people loved the car. Here is a shot of Pops (in the Mog shirt of course) showing off the car to a couple of interested passers by. 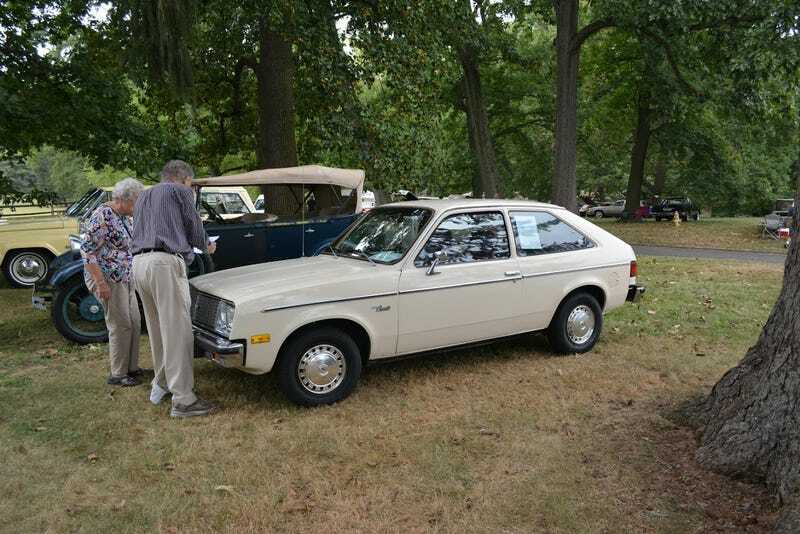 Also, for kicks and giggles, one of the other unrestored originals was this 1980 Chevette owned by Ireene DuPont, who daily drove it for 19 years. I’m not sure what’s more amazing, the fact that a DuPont bought a Chevette, or the fact that it ran for a whole two decades!